What an amazing place we live in. Where we can go from seeing a brand new play on a Saturday night in the midst of Art-a-Whirl, to seeing an internationally acclaimed mezzo-soprano on Tuesday. The amazing Joyce DiDonato gave a recital as part of the Schubert Club at the Ordway Center for the Performing Arts. She was, in a word, glorious. She opened the first portion of the recital with "Canciones clasicas espanolas" by Fernando Obradors. Seven songs in Spanish that showed her range, not only vocally but in character. Each song was not sung, but performed. With the amazing David Zobel on piano, each song had a story to tell, a character to show. I had never heard of this composer and was really charmed by this selection of songs. Obradors had written four volumes of "Classical Spanish Songs", and this was the first volume. It was a perfect opening to warm up the audience to what they could expect for the remainder of the recital. Following that, she went back to an earlier composer, and one which she is probably better known for - Rossini. She sang the "Willow Song" from Otello and it was beautiful and moving. She ended the first half of the recital with a Beaumarchais Trilogy - three songs from two operas based on the plays of French writer Beaumarchais. The first two were from Le Nozze di Figaro by Mozart, and the final from Il barbiere di Siviglia by Rossini. The first aria was "Voi che sapete" from The Marriage of Figaro. This was sung by Cherubino which is a pants role (woman playing a man), and Ms. DiDonato clearly had fun singing it. Following this was a beautiful and charming aria "Deh vieni, non tardar" also from the same opera. She ended the trilogy with "Una voce poco fa" from The Barber of Seville. While this is a very well known aria and performed often, I had mainly only heard the recordings of Callas. It was a true joy to hear a different take on the aria. I'm going to pause here because here is the thing about recitals. The music is wonderful and the performance is brilliant. But what about the visuals? For those of us who love theatre and opera, sometimes the visuals can be missed in a recital. The main stage of the Ordway was turned into a perfect recital hall with dark brown back walls. A single piano in the center, and a wonderful singer. You can't ask for much more. Yet, I feel like I need to write some about what DiDonato was wearing. The first half of the recital she was in a beautiful pale green gown (see below). It was strapless with a gather at the left front side giving some movement to the gown. She had a gorgeous v-shaped necklace as well. For the second half, she came on in a stunning multi-color dress. The dress was form-fitting, full length, and had long sleeves. Trust me, it was much more fun to watch than a simple tuxedo on any male performer. Speaking of the second half, she started it with two arias from Cleopatra. The first was from Marc'Antonio e Cleopatra by Hasse, while the second was from Giulio Cesare by Handel. Listening to her fluid runs and trills during these two pieces, this is a style of music almost written for her voice. She showed so much control yet wasn't holding back either. They were and are fantastic showcases for the magic that is her voice, and the training and experience she has had. The recital closed with another song-cycle, "Venezia". This one was by Reynaldo Hahn, and is originally seven songs about Venice. She performed six of the seven. She stated before starting that this set of songs really opened her up to the power of music when she first discovered them. She was enthralled with how evocative the lyrics and the music were. I can attest that it is true. It is a gorgeous song-cycle that I will be listening to more. And that was the program. Of course, after the last note started to fade, the first of many standing ovations began. The first of many you say? How can that be? Well...when there are three encores, the audience is given plenty of time to applaud and show their love and appreciation. The first encore was from La Donna del lago by Rossini. I am not sure of the specific aria, but it was beautiful. Another standing ovation and she came back on to seeing a Neapolitan Art Song called "Don't Forget Me." She stated that she felt a bit selfish saying the title, which gives you an idea of her charm and sense of humor (she did name a cd "Drama Queens" after all). Again, this was a very moving and beautiful piece. Her final encore may have been a tribute to Minnesota. She spoke earlier before the second encore of her travels here before starting college. She stated that she was looking at St. Catherines and wondered a bit about the possibilities. When she came back on for the last encore, it was a simple song, a familiar song, and the perfect song to end the evening - "Over the Rainbow" by Harold Arlen. To make it more perfect, David Zobel added a few notes from "Una voce poco fa" at the very end. 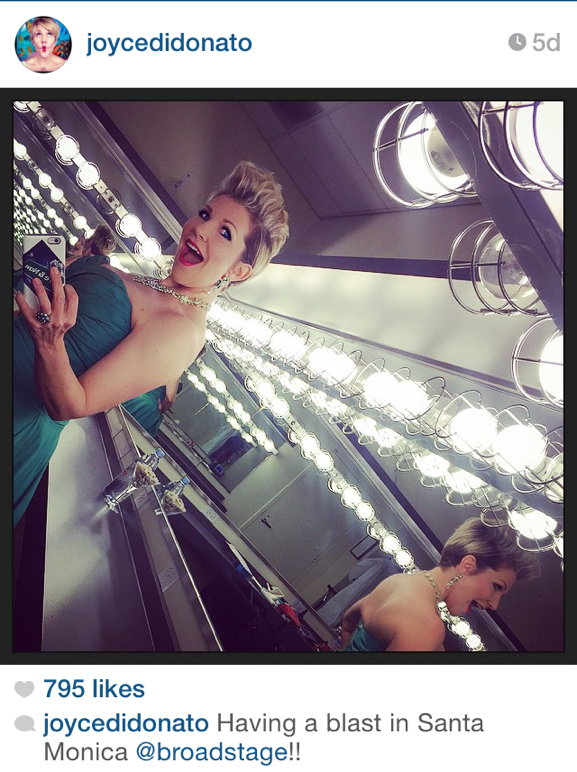 If you have a chance to see Joyce DiDonato perform, please take that chance. Either live on tour, or in some of the numerous "Live in HD from the Met Opera." You will not be disappointed. If you want to hear some samples of these pieces, you can find them on I-tunes, or Classical Archive. This is the first Nimbus Theatre show I have seen and I look forward to seeing many more. 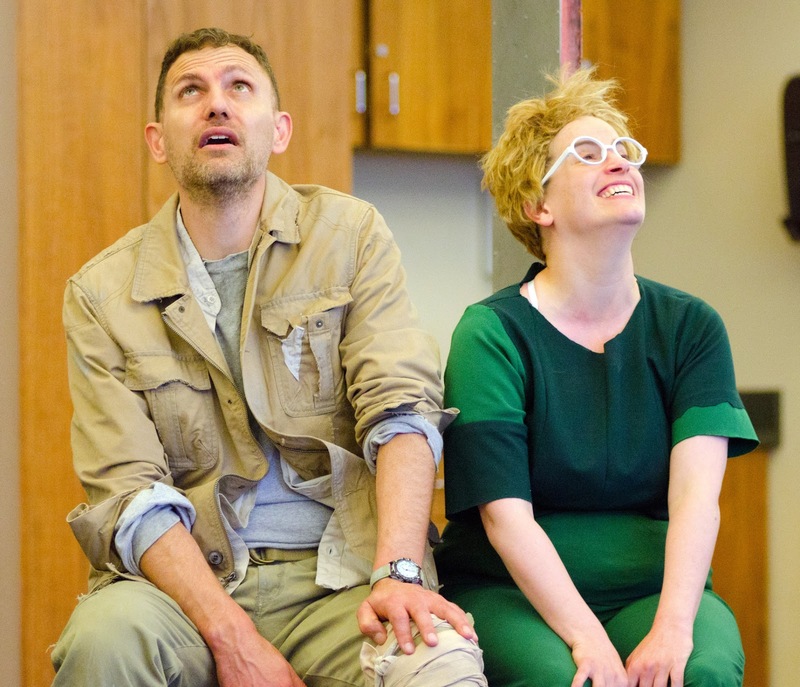 The company was founded and is led by playwrights, and is run by the artists themselves. The company focuses on the collaborative creation of new work. In this day and age, new work is exciting, needed, and a bit dangerous (as an audience member you never know what you are going to get). However I feel that it is necessary for a lot of creative types to learn to create new work, and it is essential for audiences to learn to try out new work. After all, you don't know if you will like it until you try it. 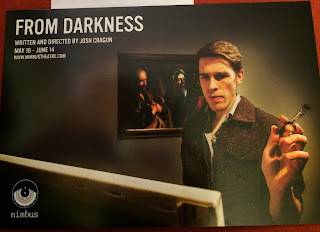 I walked into From Darkness with the knowledge that it was about art, creation, and possibly forgery. I honestly wasn't sure. What I walked away with was a deeper knowledge of certain aspects of art, art history, the post-war New York art scene, and some aspects of forgery. The underlying story (from my view) was about Stanley Mansfield - an artist who was coming into his own at the same time as Jackson Pollack, Lee Krasner, and Willem de Kooning. This was the start of the Abstract Expressionism which was the first specifically American art movement that achieved international influence. Helping this movement was a gallery owner named Betty Parsons. She was one of the first advocates for these artists and had great effect on the art world. As pure contrast, and a really fun scene, there is also some stage time for Andy Warhol and his Factory. Over this fascinating history is the driving story of a possible forgery found at the Metropolitan Museum of Art in New York City. The forgery story is based around a painting by Caravaggio, specifically The Denial of St. Peter. The play switches back and forth between the past and the present, building to a fascinating and exciting ending. The eight-person cast covers multiple roles, each character distinct and individual from the others. Despite some possible opening night jitters, it was clear that the cast is a strong cast, really invested in telling this story. More than that, it was clear that they enjoyed telling this story. The stage had screens on both sides, as well as walls that turned and folded into themselves creating various locations. With the simple addition of a block or two, or some benches and you went from a gallery at the Met, to a bench in the park, a happening at the Factory, and even a cheap bar as well as a few very posh houses. The set design by Brian Hesser was perfectly suited to this slightly sprawling tale. The screens on each side were used to help set a time and place for each scene, as well as providing visuals during scene changes. It was also used to provide examples of the art during certain scenes. It worked well though I think there were some lost opportunities. There are at least two instances where actors were facing the audience while "looking" at a painting and talking about it. It would have been helpful to me, as an audience member, if I would have been able to see the painting they were discussing. But that is a minor detail. The costuming by Andrea M. Gross and lighting by Brent Anderson suited the work perfectly. The sound design by Jacob M. Davis helped keep the scene changes interesting as the music choices were great. And I really want to call out Ursula K. Bowden for re-creating some really nice works of art, though hopefully calling her out as "Master Forger" in the program won't attract too much attention from the wrong sorts of people. The staging and direction was pitch perfect. It kept the action moving. This can be tough for a show that runs 2.5 hours with an intermission. However it covers a lot of ground, from the historical background to the ongoing questions of what is art, the meaning of art, why artists create, and even if there is a true American art style. Fascinating and intriguing questions that are answered as well as they can be through out the show. There were a few times I felt that pacing was slow, but I am attributing that to opening night jitters. I also found it odd that there were quite a few folks smoking on stage, yet never any smoke. I won't say it was distracting, but clearly it caught my attention. What I will say is this. It can be challenging to navigate and direct a show that is created collaboratively, and I believe that Josh Cragun has done a fantastic job at that. Especially on a new work that has a lot to say. If you are at all interested in learning about art and American art, or even curious about art forgeries - this is the play for you. If you want a really good time in the theatre, this show is also for you. It was interesting, exciting, and illuminating. 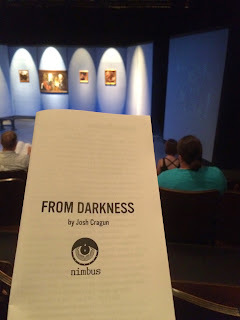 Keep your eye on Nimbus Theatre - I know that I will. Sisters, sisters! There were never such devoted sisters. Our three-show day in Chicago continues! After seeing The Herd at Steppenwolf, and First Date at the Royal George, we headed over to Navy Pier to Chicago Shakespeare Theatre for Sense & Sensibility: A New Musical. This is another ticket that we bought far in advance being 1) die-hard Janeites and 2) musical fans. Plus, Chicago Shakespeare! Although it's been over the month since we saw the first preview of this world premiere musical, they have just extended to June 14th, so this post is not for naught. Did I say the staging was spare? Gorgeous, no? Any Janeite worth her (or his!) salt has pretty strong opinions about how these characters should be portrayed, and this musical is faithful to the characters, particularly in the relationship between sisters Elinor (Sharon Rietkirk) and Marianne (Megan McGinnis). In fact, one of the most indelible images for me from this show is their exit from the curtain call--arms around each other's waists, then around the waists of their newfound loves. So cute. Also, spoiler. The men, as well, are wonderfully cast. Wayne Wilcox is a sweet, romantic and slightly confused Edward Ferrars and Peter Saide is an extremely tall and dashing Willoughby. Sean Allan Krill as Colonel Brandon is a bit of a departure from the usual stoic but romantic portrayal. He's a bit more transparent in his emotions. How could he not be, singing a song called "On the Wrong Side of Five and Thirty"? Although it was a change, it absolutely worked for me. Krill's voice is perfectly gorgeous, and his Brandon seemed a heck of a lot more fun to marry than many Brandons I've seen. On the whole, this is a lovely musical, with melodic songs that tell the story beautifully. The humor of Austen's work is kept intact, and is extremely true to the era and story. All of the actors, from Sir John Middleton to Lucy Steele, do marvelous credit to Austen's original characters. The staging, while spare, was inventive and evocative, especially when combined with ingenious lighting that subtly used color to evoke the emotional difference between the sisters--blues for Elinor and pinks for Marianne. Chicago Shakespeare is a beautiful theater right on Navy Pier, from the lobby with windows overlooking the lake, to the interior with its Globe-ish courtyard around a thrust stage (wonderfully utilized in this production). It's intimate and comfortable, and every member of staff was welcoming and friendly. Do not miss the charming mini British pub in the lobby. We pre-ordered our intermission drinks (LOVE pre-ordering) and got a split of champagne in real glasses. Real glasses! In a theater! If I lived in Chicago, I'd see it again in a heartbeat. Need more incentive? Here's a bunch of glowing reviews. Now playing through June 14. Go see it! I finally ventured to the Yellow Tree Theatre in Osseo to see the 2010 Pulitzer Prize-winning Drama and Musical, next to normal, with music by Tom Kitt and Book and Lyrics by Brian Yorkey, both Tony Award winners. I had regretfully missed the national tour of the show in 2011 (featuring Alice Ripley as Diana), and jumped at the opportunity when I saw that Yellow Tree was doing the show. The subject of mental illness is indeed unusual material for a pop/rock musical, but, ultimately it all works as a transcendent and cathartic experience. each other and also to people outside the family. Odd subject matter for a musical, right? Ultimately, as the piece unfolds, we feel the restorative power of a glimmer of light in all this abysmal darkness in an uncompromising finale. 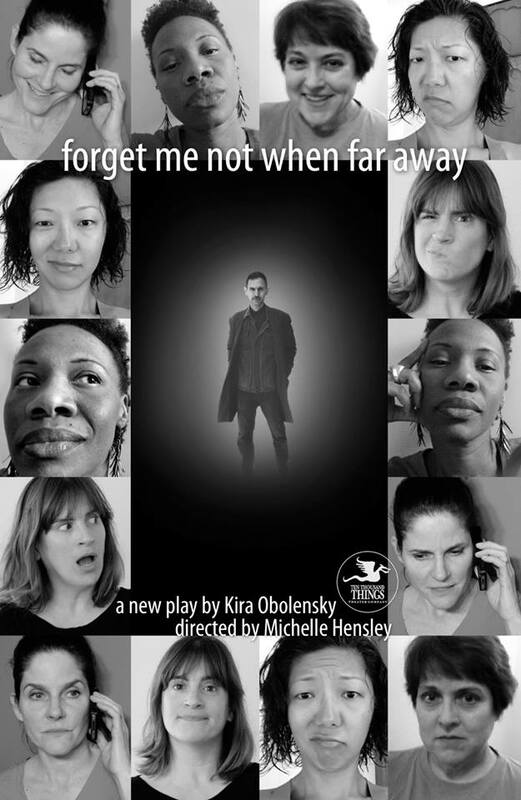 The play also encompasses the grieving process and the inability to let go and move forward. It also demonstrates the frustration of wanting to help, but in the end, being helpless. We often aren't always capable of saving the ones we love. The entire cast was excellent in complicated and emotional roles. The score was effectively well sung by all with some tricky harmonizing and accomplished duet singing in the mix. To me, it didn't seem like it was a particularly easy score to vocalize and the lyrics are such an essential part of the storyline. The production was well conceived on the small Yellow Tree stage, with appropriate staging, lighting, and costumes. It’s such an intimate story that, after seeing Yellow Tree's production, it’s hard for me to imagine it on a large proscenium stage. I felt so lucky to have the chance to see it up close and oh, so personal. 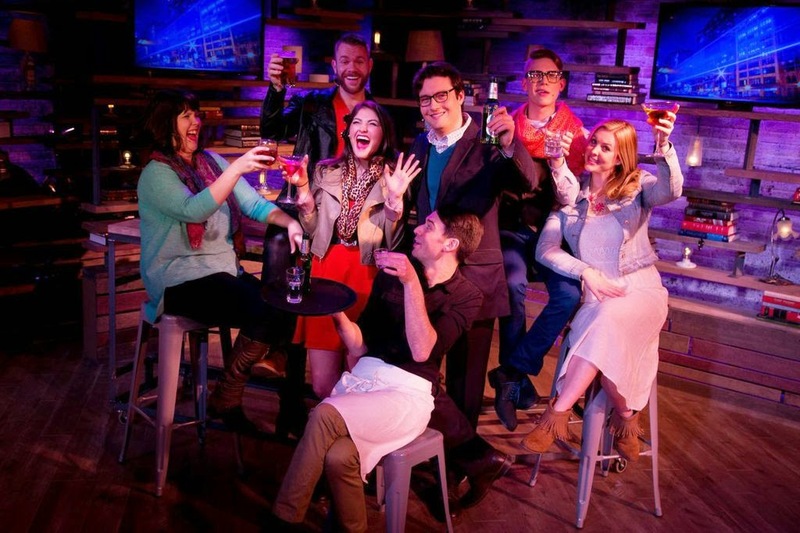 Theater Latte Da ends their season with the wonderful Next: New Musicals in the Making series. 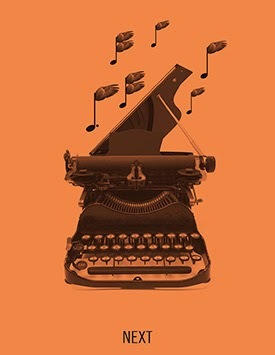 The company chooses three musicals in various stages of development from around the country and gives them full-cast readings over a weekend, asking audiences for their feedback. The creators are usually in attendance, and take these comments into consideration as they continue to work on the musical. In recent years, I've enjoyed watching and commenting on these pieces. Unfortunately, this year I missed the first two musicals, Lullaby and The Last Queen of Canaan. 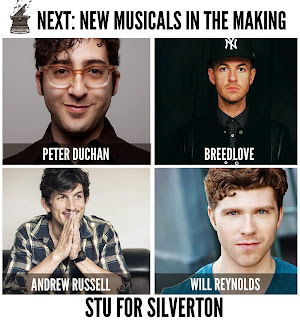 This is the last weekend of the series, featuring Stu for Silverton. This show is based on the true story of Stu Rasmussen, America's first transgender mayor. Rasmussen's trip from tiny Silverton, Oregon into Portland and a screening of The Rocky Horror Picture Show start a transition for Stu that tests the limits of the town's tolerance. This is a very tuneful, entertaining musical, with a story that shows truth is stranger, and funnier, than fiction. The wonderful cast includes Dieter Bierbrauer, Brandon Brooks, Julia Cook, Janet Hanson, Melissa Hart, Kim Kivens, Kevin Leines, Sherwin Resurreccion, Kersten Rodau, Ken Rosen, Andre Shoals, and Max Wojtanowicz. Whether playing townspeople, members of the transgender support group Stu meets in Portland, or angry protesters, everyone does a terrific job of bringing the characters to life from behind a music stand. Denise Prosek provides accompaniment on piano. The best part of Next shows, though, are the post-play discussions. (And you know we're fussy about post-show discussions!) The creative team, led by director Andrew Russell, asked and answered questions from the audience, and seemed to take the feedback to heart. Book writer Peter Duchan, composer and lyricist Breedlove, and music arranger Will Reynolds all participated in the talkback. Many of the audience's questions were about the line between fact and fiction, though most of the more outrageous happenings were true to life. Stu Rasmussen is a fabulous character with an interesting story to tell. Don't miss the chance to see this work in progress and get a deeper sense of the creative process. Stu for Silverton has two more performances: Friday, May 15 at 7:30 pm and Saturday, May 16 at 2:00 pm at the Ritz Theater. Tickets are only $12, so go ahead and take a chance on a new work of art! After The Herd at Steppenwolf, we dashed across the street to the Royal George Theatre for First Date. We lucked out We had just about enough time to hit the bathroom, pick up a drink at the bar and make it to our (front row) seats before the show started. 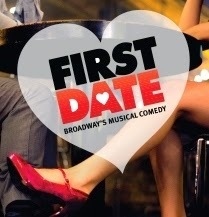 First Date is one of those shows that we just couldn't make it to when it was in New York, despite an abiding love for Zachary Levi and Krysta Rodriguez. We were so excited to see that it was playing in Chicago, at the exceedingly convenient time of 5:00--perfect for squeezing in between a matinee and our evening show. Taking place in the Royal George's intimate cabaret space, First Date is the story of a young man and woman on a blind date in a bar. Five other performers play a waiter, exes, besties, other daters, parents, you name it. The fast-moving book (by Austin Winsberg) covers many of the realities of dating in the modern age, along with the age-old issues of old relationships, family approval, and compatibility, not to mention the ways in which we try to represent ourselves to potential lovers. 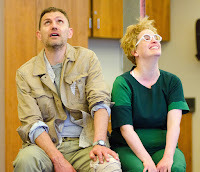 The songs, by Alan Zachary and Michael Weiner are fast and witty, and performed with verve by the cast and the band of five players. The laughs come fast and furious, but Charlie Lubeck and Dana Parker still make the daters seem like actual people. It was a very funny 90 minutes that shows that there is a great pool of talent in Chicago, as all of the performers were very strong and handled their multiple parts with grace. While in Chicago to see the magnificent Lyric Opera of Chicago Carousel, we took the opportunity to catch some more theater. We had all day Saturday before our Sunday flight and packed it as full as we could. We calculated running times, mapped our routes, and completely skipped most meals. If only we could have squeezed in more... Two Trains Running at the Goodman! Marie Antoinette at Steppenwolf! So much fabulous theater. Side note: Every time we have discussed going to Chicago to see something at Steppenwolf, it's because we want to see John Mahoney, best known as Frasier's dad, but also wonderful in many other things, including The Broken Hearts Club. Also, being ardent fans of so many of Steppenwolf's alumni (Gary Sinise, John Malkovich, Laurie Metcalf, how much time do you have? ), it was a thrill to finally set foot through their doors. John Mahoney was appearing in the The Herd, so it was pretty easy to choose that play, basically sight unseen. A domestic comedy-drama, The Herd is written by Rory Kinnear, one of those British actors with an impressive stage career who you've also seen in everything. Really, check out his IMDB. On a beautifully detailed set of a modern home, we meet the family. Carol (Molly Regan) and her grown daughter Claire (Audrey Francis) are preparing for a birthday party. Carol's parents arrive bearing birthday cake and enough questions to establish Patricia's nosiness and Brian's tolerance. Mahoney plays the infirm Brian, and Patricia is played by the wonderful Lois Smith, who has also been in everything. 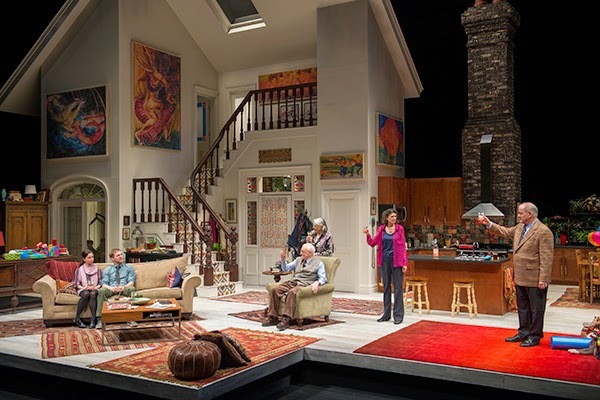 The plot of the play is small but universal: The issues of one extended family, and the ways they cope, together and separately. The show's naturalistic dialogue was engrossing, and of course, the acting was top-notch. Next up: First Date at the Royal George Theatre.